The 4th of July is right around the corner. I have a couple of patriotic decorations like my President’s Day Pillow and my “God Bless America” Button frame but I have nothing on the walls. 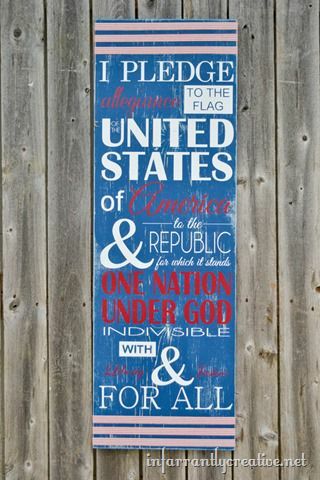 How many times in your school years did you say “the pledge?” I venture to say in the thousands for sure. Do they still say “the pledge” in the public schools? I am not sure if they do or not but I now have it on my walls to remind me of the amazing nation I live in and the flag that represents it. Next week, we have a big event coming up here in America. It’s America’s birthday, otherwise known as the 4th of July! You know I love to show off my American spirit with crafts and other patriot-themed projects. I just didn’t realize how many red-white-and-blue crafts I’ve posted over the years to celebrate life in the US of A….until I started rounding them up this morning. 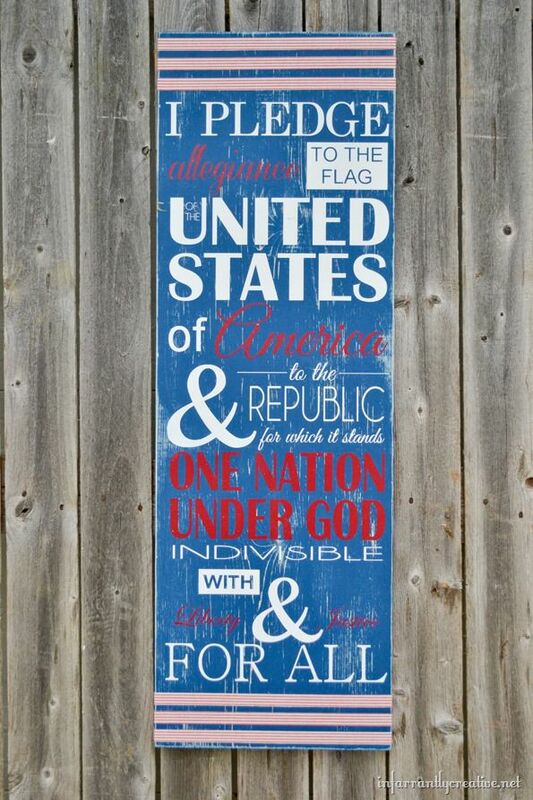 Just in case you need a few ideas for joining in the celebration of America, this week, here are 10 Ways to show Your American Pride made by myself and my talented contributors. Enjoy!